For more than 50 years now, Cobalt boats have been cruising the waters and providing owners with a smooth ride backed by power-packed performance. The company is deeply committed to setting new standards when it comes to performance and luxury in boats. When you’re seeking a fun-filled day on the water in a boat that was skillfully constructed through superior craftsmanship and engineering, choose a Cobalt. At Arrowhead Boat Sales, we carry a wide range of Cobalt boats because we only offer our customers the very best. Visit us in Grove, OK today to check these beauties out for yourself. When it’s top-notch performance, elegance, and luxury that you crave from a boat, you’re destined to own a Cobalt A Series. These boats feature an extended running surface for quicker planing, improved turns, and reduced bow rise. When you’re gliding across the water at high speeds, it’ll still be smooth sailing with optimal comfort for you and your passengers. The hydraulic swim platform lowers below the surface for easy entry and exit. Let’s not forget about the captain-focused helm with touch screens, controls that are ergonomically positioned, and a custom-stitched console. For a classic Cobalt experience that perfectly blends its signature luxury feel with sleek and sporty touches, go with the R Series. You’re sure to stand out on the water with this boat. 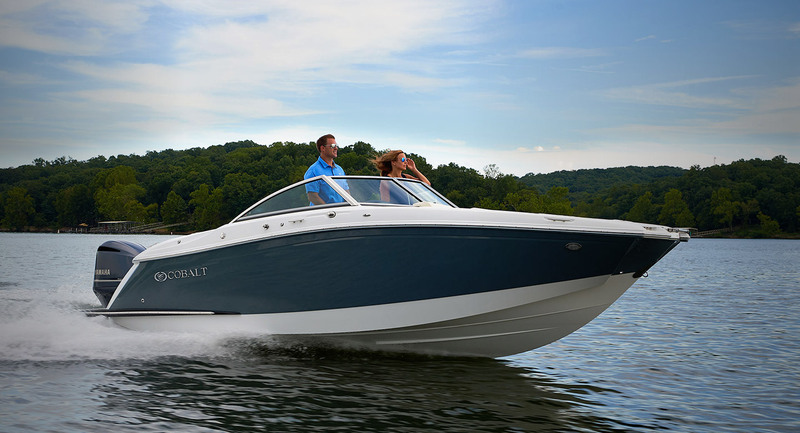 Whether you’re going for a leisurely sunset cruise or a day full of water sports and family fun, the Cobalt R Series delivers a dreamy performance each and every time. Enjoy a glass cockpit with a standard GPS, a leather-wrapped steering wheel, a spacious interior layout, and much more. The design is highly functional without compromising the powerful performance. 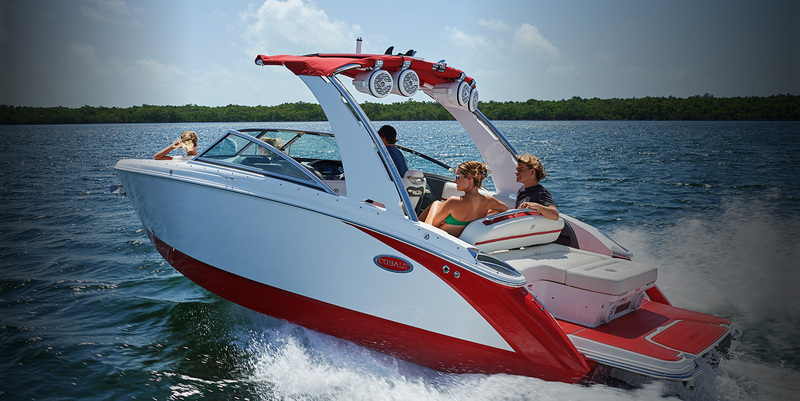 If outboards are the name of your boating game, look no further than the Cobalt SC Series. There’s much more beneath the surface of this highly intelligent design. The SC Series was created with the goal of developing boats that have been entirely redrawn, reoriented, and re-weighted to offer more convenience and economy with each model. You’ll enjoy a new engine that was specifically designed to be quiet and smooth, regardless of the conditions. What’s more, you still get the power of high-horsepower engines in an economical, efficient, and traditional stern drive. 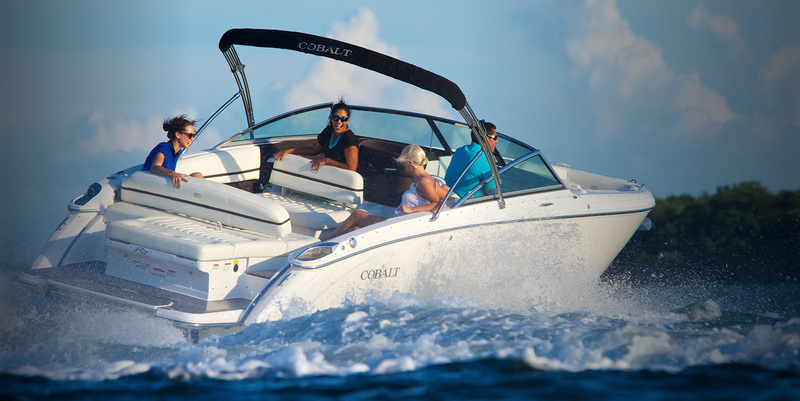 You can take your ultimate family fun experience to the next level with the Cobalt Surf Series. With the signature deep-V hull design and extended running surface, you’ll enjoy the soft, dry ride that you expect from a Cobalt boat. The handcrafted interior includes intricate details you won’t find elsewhere. Comfort, elegance, and performance are at the heart of this series. It’s well-constructed from top to bottom and carefully engineered to provide you with the best performance yet. 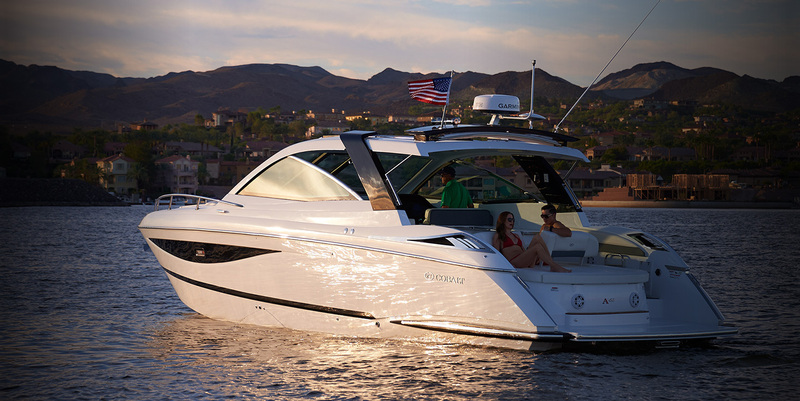 You’ll be spotted from a mile away on a boat that was meant to turn heads.